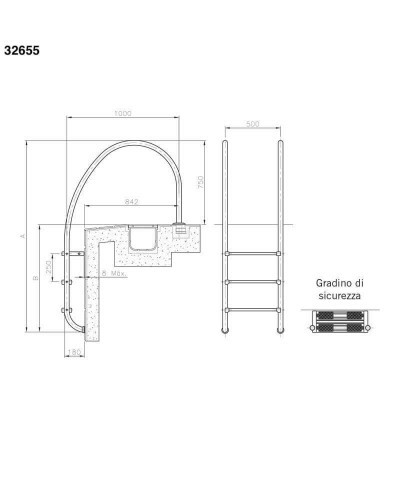 €484.35 Vat incl. €484.35 Vat excl. By buying this product you can collect up to 48 loyalty points. Your cart will total 48 points that can be converted into a voucher of 9.6. 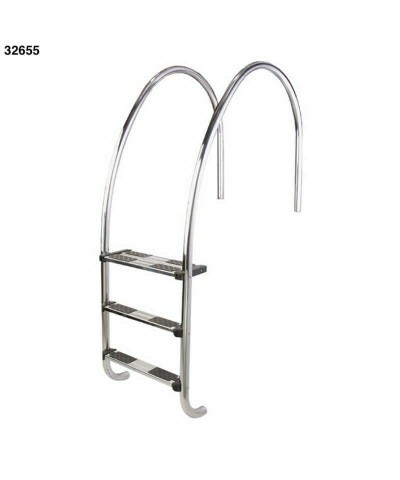 Pool ladder with infinity edge, glossy finish. Available from 2 to 5 steps. Anchors supplied with equipotential connection. Handrail Ø 43mm x 1.5mm, steps in AISI 316 stainless steel with polished finish. 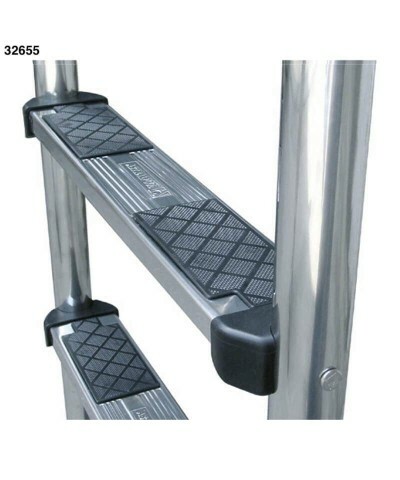 500mm wide steps that comply with the European standards EN 13451-1 and EN 13451-2. 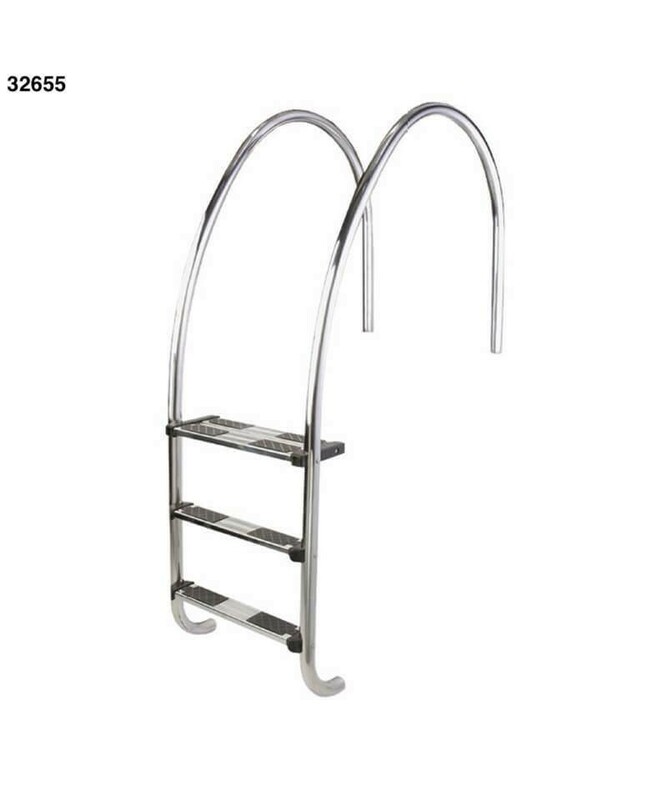 A new feature of this step ladder is the variable radius of the curve in the grip section which gives it a more modern and attractive appearance. Easily installed Railings Ø 43 mm x 1.5 mm and steps in AISI-316 with polished finish. Stairs / Ladders for pools. Price €276.00 €276.00 Vat incl. €276.00 Vat excl.